Timothy Peter Collins Sr., a lifelong resident of Opelika, Alabama, was the adopted son of the late Lillian Mary and Oliver Clark Collins. He was born April 3, 1956, and on March 9th of 2018, after a short but brave battle with various health concerns, he succumbed to them and passed away. Timothy P. Collins Sr. was well educated and graduated with honors. He pursued a business career that he enjoyed. Despite various promotions and the progress in his career, he still longed for other opportunities. He found great success working at Flowers Bakery, finding among his coworkers a number of acquaintances and friends. In his later years, Timothy enjoyed many pastimes. He had a passion for collecting and playing various movies and video games. He collected musical and video equipment as well as working on and sometimes riding his two motorcycles, all while listening to his favorite electronic music. He loved to manicure his lawn (often asking if he could do so for his neighbors) and insisted it be immaculate. He was upbeat, courteous, and did his best to be respectful (although he was not always successful). He also loved to speak with others, something he would do for hours on end if given the opportunity, and never was it boring. We will all miss Tim for his many eccentricities and his love of the things and people around him. Let our memories of him give us strength to find the right path in the darkest of places. Timothy was proceeded in death by his Mother, Lillian Mary Drinkwater Collins; Father, Oliver Clark Collins; Brother, James Collins, all of Opelika, Alabama. 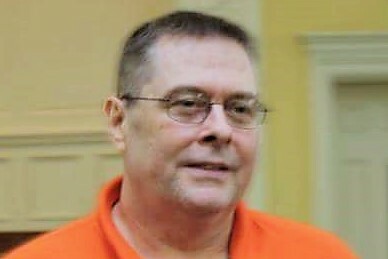 Tim is survived by his son, Timothy Peter Collins Jr, (wife Mary); Tammy Hands Barreto (mother of Tim Jr); (nieces & nephew of Tim Sr) Jamie Jeanette Brunson, (husband William; children Lilith Kaile Paige and Tripp); Katie Collins Carter; James Patrick Collins; (sister & brothers of Tim Jr); Candace Neese (husband Jay, children Porter and Parker); Marc Citron; Jude Kammerling Childers. Memorial Services will be held on March 17th, 2018 at the Marvyn Parkway Baptist Church located at 3001 Marvyn Pkwy in Opelika, AL. Hours of service will be from 2 pm to 4 pm central. In lieu of flowers, contributions may be made to Marvyn Parkway Baptist Church.